Following the third nuclear test conducted by North Korea, two natural questions are how long it will take the country to build a real nuclear weapon, and whether the U.S. could pull off a military strike before then to stop the program.The short answers: It will be at least a few years before North Korea is capable of building a bomb that threatens close neighbours, and several years before it can threaten the United States directly. Meanwhile, a military strike would be a roll of the dice. First, the facts of the test: The North Korean government confirmed that it had conducted one Tuesday (Feb. 12), and the seismic activity from the underground blast indicated an explosion equal to about 6,000 to 7,000 tons of high explosive. To put that in perspective, that’s a fraction of the power of the bombs the U.S. dropped on Hiroshima and Nagasaki in 1945, and even tinier when compared with most current nuclear weapons. Even so, a bomb that size would be a real threat. “Seven kilotons would do a lot of damage in downtown Seoul,” Hans Kristensen, director of nuclear information at the Federation of American Scientists, told TechNewsDaily. The explosive yield of the test also marked a big jump ― by a factor of three or more ― from previous tests conducted by North Korea. While Pyongyang has demonstrated that it can pull off big explosions, making a nuclear weapon is different, Kristensen said. The North Korean news agency claimed that the tested device was “miniaturized,” but the North Koreans don’t seem to have anything they can strap under the wing of a plane or mount onto a missile, he said. Such a bomb isn’t easy to develop, as the U.S. learned in 1945. Scientists were able to set off a test nuclear explosion at the Trinity site in New Mexico, but it still took a lot of work for America to simultaneously develop bombs that could be carried on aeroplanes of the period ― this despite having a lot of money, some of the best engineering and scientific talent in the world, and the urgency of a war. So although the leadership of the Democratic People’s Republic of Korea seems determined to build a bomb, that doesn’t mean they can do so as quickly as they might want or as many people fear. A big factor will be what kind of weapon the North Korean military is shooting for. Uranium-based nuclear bombs, like the one dropped on Hiroshima, involve a cylinder of uranium fired into another cylinder of uranium. Those are relatively easy to design, but they tend to be larger and need more fissionable material for a given yield. The bomb dropped on Hiroshima, for example, required some 100 pounds of uranium to work. Kristensen said it doesn’t look as if the North Koreans have gone that route, at least not yet. The second design, called the implosion type, consists of a sphere of plutonium surrounded by explosive charges. It’s the design that has been used in every known nuclear weapons program so far. This design requires a lot less plutonium and offers more powerful blasts, but is trickier to implement. All the charges must go off at exactly the same time, and they have to compress the plutonium equally on all sides. Another challenge North Korea will face is the issue of transporting the bomb. North Korea doesn’t have a bomber that can reach any part of the U.S., so that leaves missiles as the delivery mechanism. While North Korea has tested rockets that can launch satellites, they don’t appear to have one that can reach the continental United States, at least not yet, said Nick Hansen, an analyst at the 38North blog who writes extensively about the country’s missile program. “What they need, to make their threats credible, is not the Unha-3 rocket. It has many shortcomings as an ICBM, and most experts agree as a weapon it has very limited utility and is probably a dead end,” Hansen told TechNewsDaily in an email. A larger rocket might appear after 2015. The missile that has some potential, he said, is called the KN-08, but it isn’t likely to put North Korea into “The ICBM Club” until late in the decade. Developing a missile that can reach the U.S. couldn’t be done in secret, Kristensen noted — it’s just too big a project, and the launches are too visible. Some might ask why Pyongyang doesn’t simply load a bomb onto a ship and sail it into a port. The answer: Aside from the difficulty of a North Korean ship entering an American or U.S. ally’s harbor, such an action would be a pre-emptive strike, and that would be suicidal. 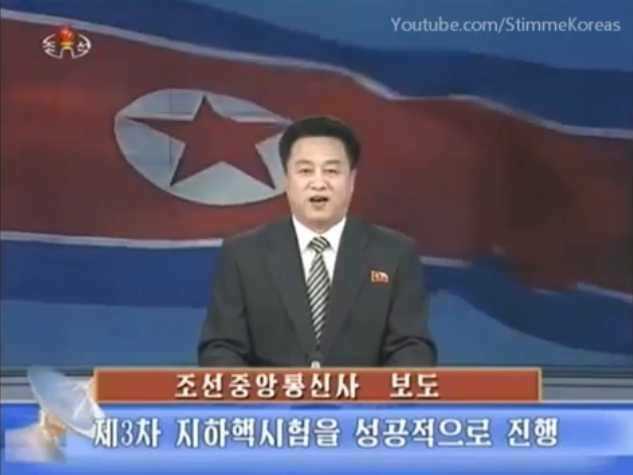 Most experts agree Kim Jong-Un and his government want to survive. Considering North Korea’s perceived global security threat, there has been talk of possibly taking out either its nuclear facilities or launch pads. William J. Perry, who had been secretary of defence under Bill Clinton, said in 2006, for example, that such action should be considered. But doing so might prove difficult. David Straub, associate director of Korean Studies Program at Stanford University’s Freeman Spogli Institute for International Studies, noted that the locations of all the country’s nuclear facilities may not be known. “Their main facility is at Yongbyon,” he said, but “most experts believe they have an additional facility and likely multiple ones in the country.” Even Perry, at a symposium in Seoul earlier this month, said he opposed the idea. Kristensen said while it is possible to do a lot of damage to the North Korean weapons program, and push back its timetable by years, unleashing a military assault on the country could have serious consequences. “North Korea is not Syria or Iraq,” Kristensen said, referring to countries whose nuclear facilities were targets of Israeli raids. Neither country retaliated for the raid — Iraq was already in a war, against Iran; and Syria only lodged protests. The North Korean government, by contrast, might fire on South Korea using missiles armed with conventional or even chemical warheads, or it might mobilize an attack on the demilitarized zone.